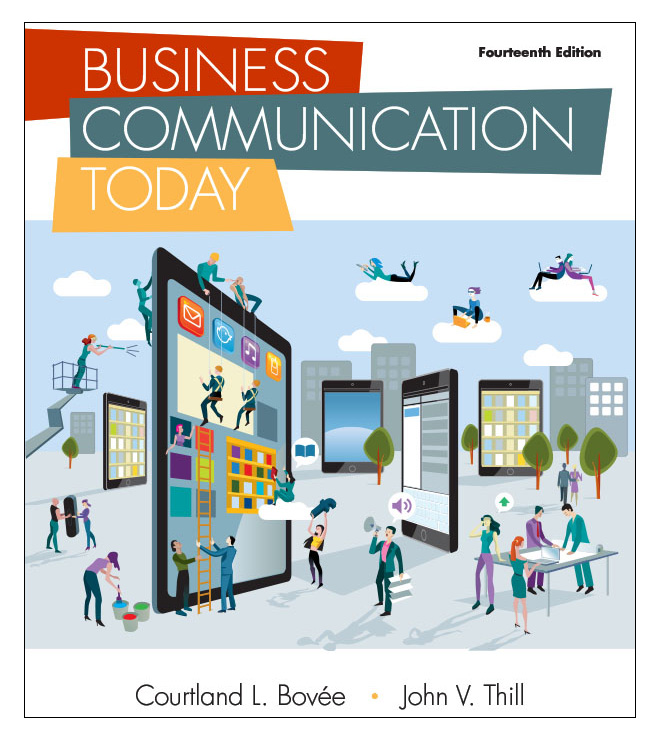 Business Communication Today, 14th Ed. This section contains all the information and materials for your textbook. To find materials on a specific topic (regardless of chapter), use the search box located in the left-hand column. To browse the most popular posts related to a given book, see "Most Popular" below the search box. To find media materials for a particular chapter, click on the chapter title below. Within a chapter, you have several options. (1) You can browse the materials, which are shown in descending order by date posted. (2) While you are viewing the listings for a specific chapter, you can also click on the "Chapter Media" selections in the left-hand column to show only material in a specific medium. (3) To search for materials on a specific topic, use the search function in the left-hand column. Note that within the listings of a given chapter, the search function searches for only for material associated with that chapter. (4) To browse the most popular posts related to a particular chapter, see "Most Popular" below the search box. To find the "Real-Time Updates—Learn More" media items referred to at various places in the textbook, click on "Learn More" in the Students section at the lower right. To find corrections for any textbook errata, please refer to "Instructor Messages" or "Student Messages." To let us know about a possible error, please click "Contact Us" above. To see all of the material on this site organized by topic, go to Business Communication Headline News, and scroll down to "Categories" in the left-hand column.